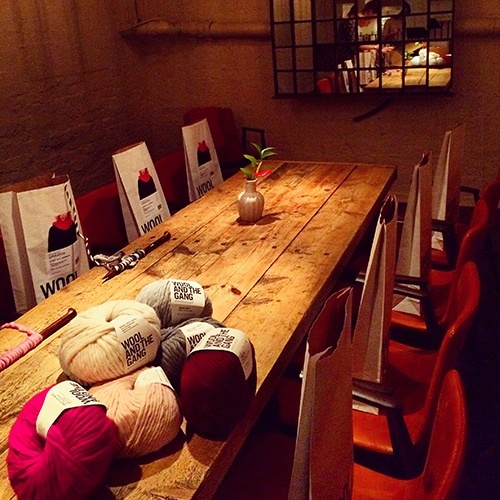 Mask’s top clients were treated to an evening of knitting and nattering at The Anthologist’s private dining room, ‘The Blind Pig’. This unique private room is the perfect intimate events space in the city. It comes with a 1950s kitchen that doubles as a private bar, which made a great setting for an evening of crafting fun with our bespoke events specialist, Mask. The evening kicked off with Peach Bellinis and Prosecco, served with a selection of canapés from The Anthologist’s restaurant. The table was set with bundles of beautiful different coloured Alpaca wool, knitting pattern kits and a little more Prosecco for good measure. Once our guests were seated and had chosen their preferred wool, Wool and the Gang gave a brief introduction and demonstrated how to make a simple snood. 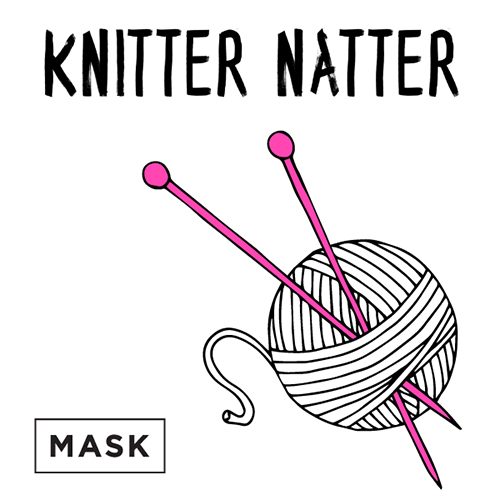 Mask’s guests couldn’t wait to get stuck in to the knitting; one expert guest even managed to complete her snood in two hours – half the time it should’ve taken! Throughout the night Mask’s guests were fuelled by plenty of comforting pub grub and free-flowing drinks. It was a perfect evening to de-stress and unwind, even if a couple of people had cramp in their fingers by the end of it! Wool and the Gang’s parties are a great way of learning a new skill and having plenty of fun while you’re at it. The parties are suited to beginners and experienced makers alike, as Wool and the Gang’s knitted pieces can be tailored to a wide range of difficulty levels. All Wool and the Gang’s parties are run by a dedicated Wool and the Gang host, who is there to guide guests through the making process and help with any sticky situations that might arise! 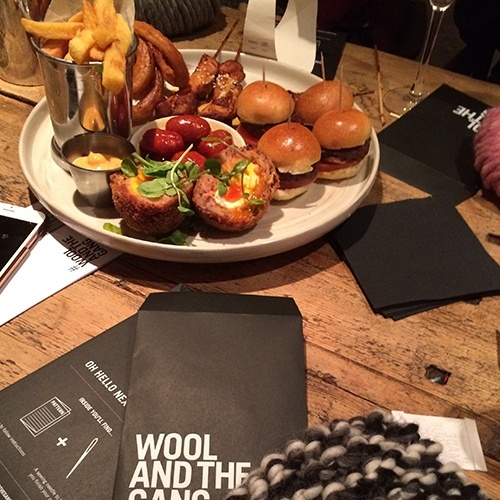 Find out more about parties with Wool and the Gang at woolandthegang.com. Mask is the Concerto Group’s bespoke events agency. The hand-picked collective of inventors and curators strive to deliver client firsts and exceed expectations, breaking the mould of traditional events. Find out more about bespoke events with Mask at mask.co.uk.